Estes cursos destinam-se a quem já se encontra ativo nos vários ramos da Hotelaria. São cursos curtos que procuram ir ao encontro das necessidades dos profissionais, a vários níveis. Para enriquecer e melhorar as suas qualificações pessoais. Cursos de 6 dias, em Inglês, realizados nas diferentes escolas do SEG (Swiss Education Group), na Suíça. Cada Curso é composto por 3 módulos com a duração de 2 dias cada módulo. Pode escolher entre 1, 2 ou 3 módulos para fazer o programa completo de seis dias. This module aims to introduce students to contemporary events management within an historical context focusing on society’s need to create events. This creation of an ‘events culture’ has led to a range of events that inherently impact upon host communities. By seeking to define ‘events management’ this module aims to identify the distinct nature of the sector and locate it within the wider service industry. This module aims to develop an understanding of the theory pertaining to MICE (Meetings, Incentives, Conferences and Exhibitions). Students will be introduced to the complexity of events and key components of event planning and management. This module requires students to draw on theory and previously acquired knowledge and skills of F&B, to organize a complex event including the functions of marketing, fundraising, human resources, financial control, as well as F&B aspects. This module is designed to introduce students to the principles of marketing by addressing key aspects including the marketing mix, market segmentation, differentiation, positioning and sales. An emphasis is placed on examining how the various elements of marketing are interlinked and how they add to an organizations competitive positioning and overall strategic aim. This module aims to provide a strong foundation for the Hospitality Industry. 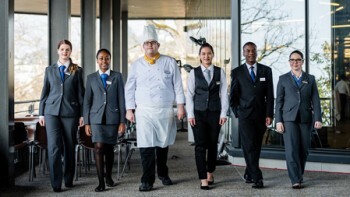 In order to study hospitality it is essential that students are able to identify and understand the important link that exist between the hospitality industry and the service culture in hotels. Key areas such as driving Guest Experience within hotels, Food and Beverage concepts and the Service culture and customs will be explored in order to enhance student’s knowledge and understanding. This module aims to provide a knowledge and understanding of the management of food and beverage operations, the composition of the sector, marketing, menu design and facilities design. 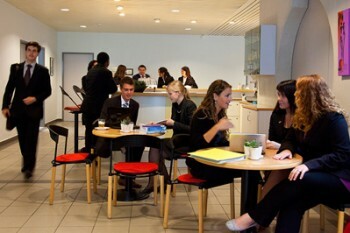 The module also introduces the important element of human resources management within food and beverage operations. This module addresses front office procedures, from reservations to check-out. It outlines the various aspects of front office management, including systems and personnel that contribute to the effective running of this department. This module also evaluates the relationship between the front office and housekeeping departments. This module is designed to provide an introduction to the management of a kitchen including the wide range of skills needed to manage in today’s environment. It introduces the general idea of systems management illustrating how an F&B operation’s menu impacts the need for the physical, human, and financial resources of a restaurant. Through a combination of cooking demonstrations and practical workshops, this module provides the necessary foundation on which to learn the aspects of the fine dining experience. This module covers the planning, implementation, and analysis through practical demonstrations and theoretical applications. This module covers artistic plating and presentation methods by exploring the use of colour, shape and texture in the kitchen to create delicious and beautiful dishes. This course will also explore global food trends and will investigate trends in relationship to gastronomy and diets. This 2-day module offers a complete approach to the financial component of a business plan and focuses on the management of portfolios giving participants an understanding of capital markets and fundamental analysis. This 2-day module provides participants a thorough insight into the Luxury sector in a global context. Whilst exploring the role of marketing within luxury companies, participants acquire the critical skills to identify potential new luxury products for numerous markets. This 2-day module will verse participants on how to align the human resource function with the organization’s strategy. Participants will also acquire the knowledge necessary in the context of conflict and meditation and workplace diversity and will familiarize themselves with effective performance management systems. O SEG, representa o maior grupo de escolas de Hotelaria na Suíça. 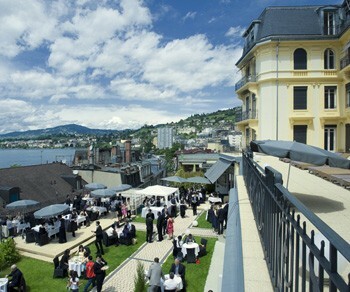 É constituído pelo SHMS, com uma escola em Caux e duas em Leysin; pelo HIM, com duas escolas em Montreux; pelo IHTTI, com uma escola em Neuchatel, pelos César Ritz Colleges, com escolas em Le Bouveret, Brig e Lucerna e pelo Culinary Institute com escolas em Lucerna e Le Bouveret. As inscrições devem ser feitas na MultiWay.